If you run a construction company (large or small) it's probably a challenge to keep on top of the latest trends. Trends come and go, but maybe you should start taking some of them more seriously. It's not always technology that continually improves the construction industry. Other trends concern labor issues, spending, and hiring. You'll also want to look at the future of sales and profits which may tend to shift as a new decade approaches. Here's a look at what you can expect in the construction field in 2018, and how you can prepare now before that time arrives. There isn't any doubt that technological advancements have already improved construction tenfold, expect more virtual reality and augmented reality use allowing people to tour construction sites without having to do so in person. Also look out for technologies like 3D printing, more drone use, self-driving vehicles, and more efficient coatings for specific surfaces. Pop-ups and permanent modular buildings for big-name companies will continue to be hot construction ideas. They’re also becoming more energy-efficient is always attractive to home-buyers and commercial businesses. Modular and Pop-up buildings are also growing in popularity in the disaster-ravaged portions of the US where Hurricanes, Floods, and Fires require the quick installation of permanent and temporary housing and business facilities. Price increases for supplies and skilled labor shortages are current concerns. Construction companies like yours will likely feel the need to incorporate more cost-saving measures to stay competitive. Explore the benefits of turning yourself into a design-build company to reduce middlemen. For those of you that need to keep up with your architecture license, there are online alternatives to classroom courses. Consider creating internships to train more skilled laborers to avoid heavier workloads on your other builders. Construction leads the industry in workplace accidents. This is slowly beginning to improve with better technologies and procedures. It's time to take action yourself if you're still experiencing too many on-site injuries lately. Educate your employees on proper safety precautions. 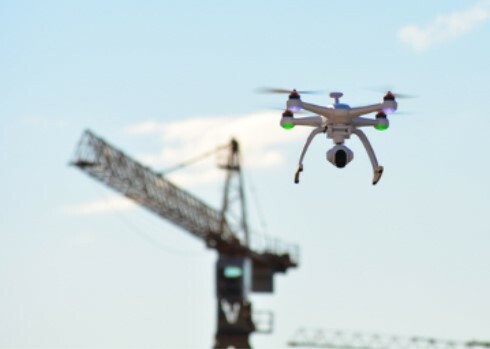 This entry was posted in Construction, Drones and tagged Construction Trends, Drones for Construction.